Back in 2011, we went with two of our best friends on a BBQ Tour of Texas. It was just as awesome and delicious as it sounds. Our very first stop was at Perini Ranch in Abilene, TX. We got some amazing barbecue but this little side dish was a favorite at the table. 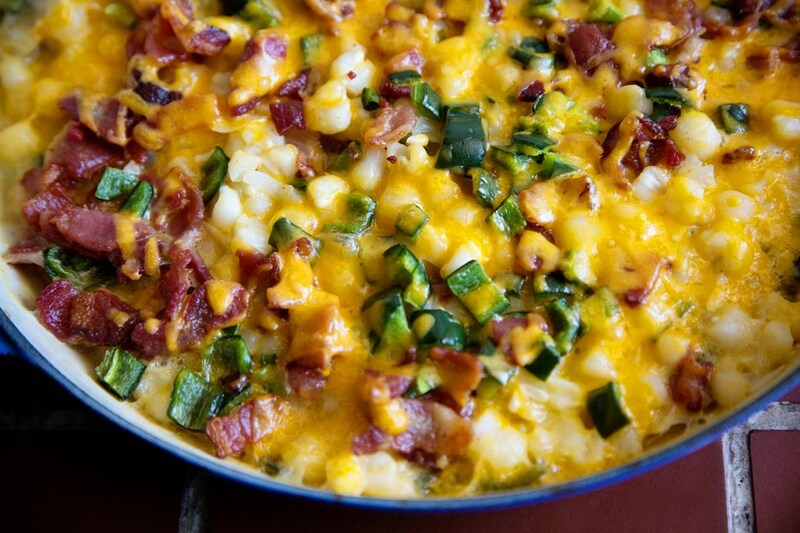 Hominy baked with bacon, poblano peppers, jalapenos and cheddar – how can you go wrong? It’s savory and hearty and a perfect side dish to most anything. It’s very filling and easy to whip up, serves a whole lotta people and I have the recipe for you! Aren’t you lucky?! 🙂 We only slightly altered the original recipe – it’s pretty perfect how it is! Saute the onions in a little of the bacon drippings and set aside. Heat the hominy in a separate pan, stirring often. When heated thoroughly, add the hominy liquid and jalapeno juice, bring back to high temperature and add 3/4 of the cheese. When the cheese melts, add half the peppers and bacon and all the onion. 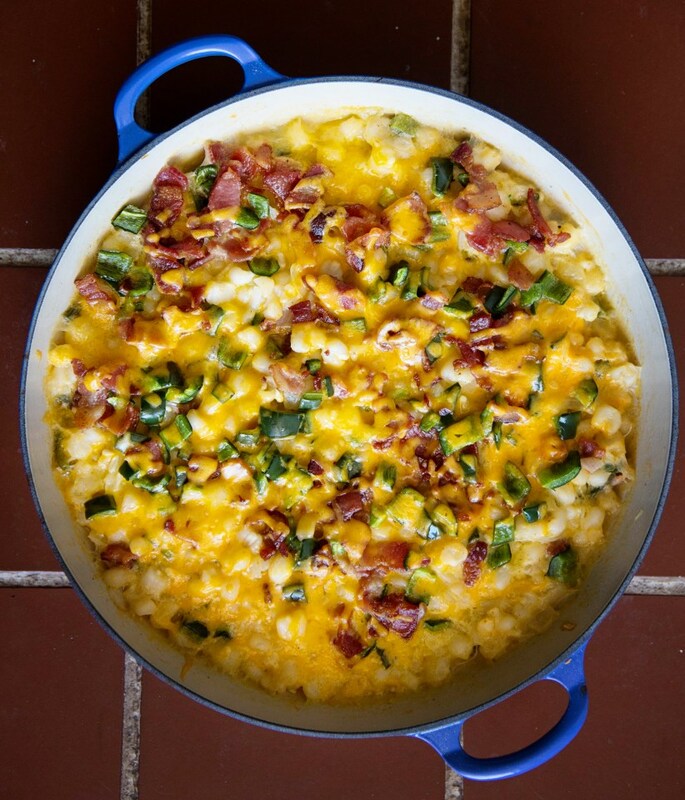 Pour into a large baking pan (a 9×13″ works) and sprinkle with the remaining cheese, bacon and peppers. Bake at 325 degrees F until cheese on top melts, about 15 minutes.